Get ready for your season! learn strategies for match play, do lots of foot work drills and compete with fellow students. We will work hard, but we will also have fun! Sign up in advance! This is where the tough get going; and the players that are too cold stay inside eat marshmallows and drink hot chocolate. The only problem is too many marshmallows and you become one! Texas junior tennis players are generally pretty tough. At least the good one's! The weather does not deter them from training or playing tournaments. In the worst, most extreme conditions the tournaments are always still played. With plenty of kids willing to fight to become winners. 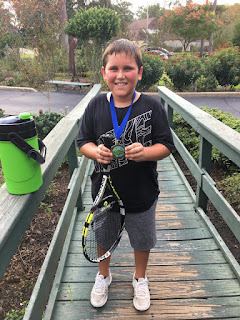 We are traveling to Katy next weekend to play a Challenger tournament Jan 6/7. I am pleased we have a large of kids going to the tournament. All willing to risk the elements, train in the cold and compete to become better tennis players, and people. It is necessary to "put it on the line" be brave and compete on a regular basis to improve in tennis. 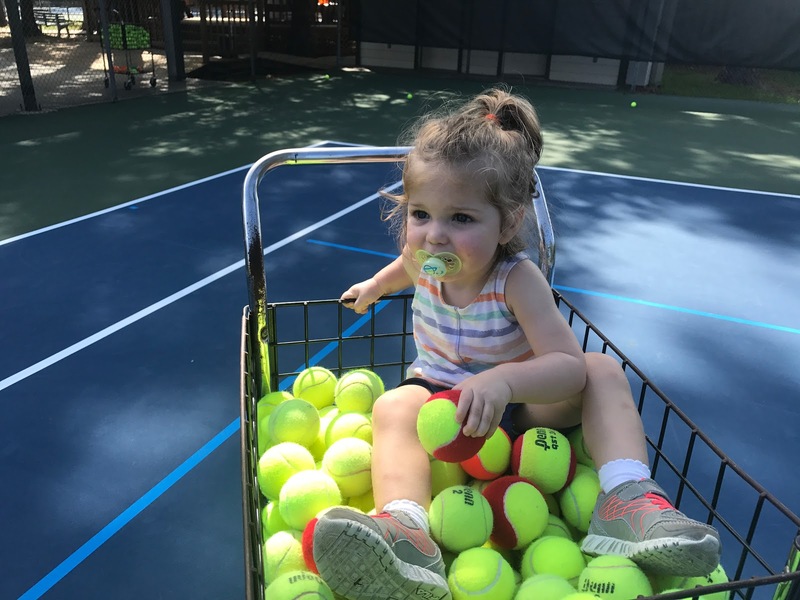 Our tennis academy is going well. We have lot's of young kids that are sticking with us improving their technique, character qualities and competitive abilities. We have kids winning tournaments regularly and becoming champ and super champ players while maintaining their integrity. Our main focus is teaching, which is not easy in a world filled with distractions. We care for our kids, work them hard and allow them to have a little fun! 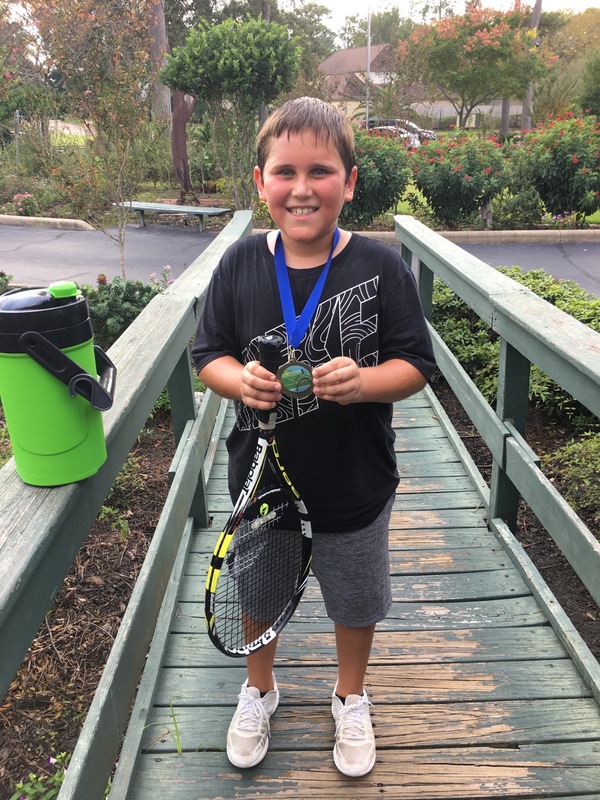 Our focus is offering affordable tennis programs to help kids achieve success in tennis and life. We just resurfaced our tennis courts and included lines for 36 and 60 ft courts. We now have 25 short courts at our facility. We also added a backboard allowing our players to improve their games. We are planning more improvements in 2018. Today we begin the process of re-surfacing our tennis courts. Please be patient as availability this week will be limited. We look forward to having new courts! 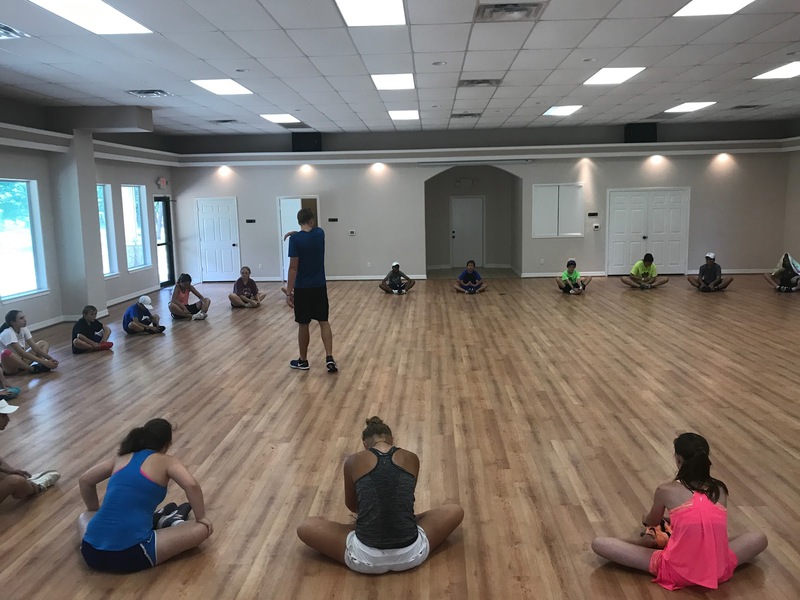 We are excited about our summer tennis program this year! 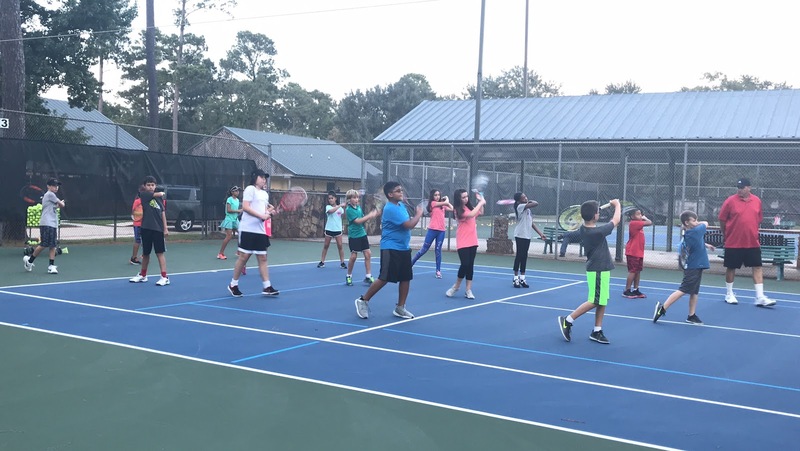 We have tennis classes and camps for everyone from beginners to advanced. You can sign up on our website at Spring Tennis Academy or by calling Friday 281-300-0304 or Ken at 832-515-1314. 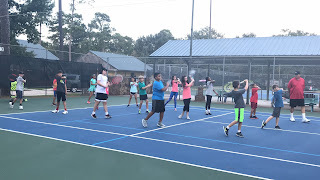 Over the past ten years I have been teaching large groups of junior tennis players how to play and compete in our great sport! My students have taught me so much including how the times have changed from when I was a competitive player. Nowadays, it appears much harder for kids to focus because of social media and technology distractions. What I remember clearly is how hard I worked to obtain an ATP World Ranking in singles/doubles, NCAA II #1 national ranking in singles, All-Time National Collegiate Champion in singles and doubles NAIA 1989 and All-American status. It's nice to be in the record books but without a strong work ethic it never would have happened. I now believe that work ethic has to be taught. It is so easy for coaches to see young players that are spoiled and don't know how to work hard and give up on them (including myself). What I have learned over the years is kids will surprise you! They can learn if you give them a chance. But kids need explanations, the how and why's are important for them to connect the dots in their own lives. If you are a coach, or good tennis player, I am here to tell you greatness is only within reach when work ethic matches your desired goals. Good technique, experience, match play, perseverance and patience are all keys to success in tennis but without a strong work ethic you are destined for mediocrity. What is your destiny? You have to work more to get better! Be productive over Holidays instead of wasting time!! 9:00-11:30 Drills and Games, 11:30-12:00 Fitness, 12:00-1:30 Lunch (bring your own or order from Panera or Pie Five), 1:30-4:00 Match play singles and doubles & technical work, 4:00-4:30 agility and movement drills, 4:30-5:00 Games. If rain we will do indoor activities, mental toughness training, fitness, board games and we may take kids to Cinemark for a PG movie. 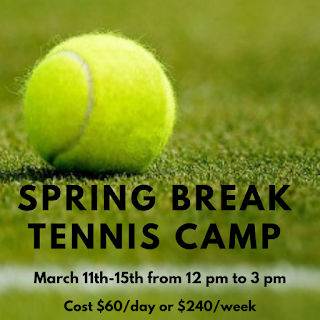 These training camps are designed to make you better in ALL areas of your tennis game! Since we will have 8 hours per day we will be able to accomplish all of our goals. All special needs will be met including private instruction to improve technique. 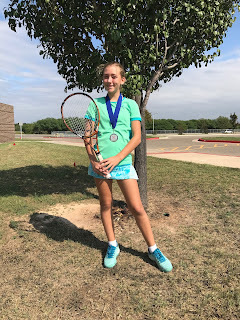 This is your opportunity to make a BIG jump in your game over the break and start the new year off playing much better tennis. 6012 Root Rd., Spring, 77389, phone: 832-515-1314 (RSVP). Camp will be run by: Ken Olivier, BA, MS is an All time, Individual National Collegiate Champion in singles and doubles in the nation with a final national ranking of #1. He holds a Master’s Degree in Exercise Science and has been coaching tennis for 20 years. Ken’s students regularly become Varsity players, Champs, Super Champs and receive scholarships in college.